Sonardyne is a leading global provider of marine acoustic, inertial, optical and sonar technologies for tracking, communication, and positioning of surface and underwater unmanned robotic platforms, such as USVs (unmanned surface vehicles), AUVs (autonomous underwater vehicles) and ROVs (remotely operated vehicles). Our products equip surface and subsea unmanned and autonomous platforms to undertake a wide variety of missions, including military, exploration, surveying, and oil & gas. 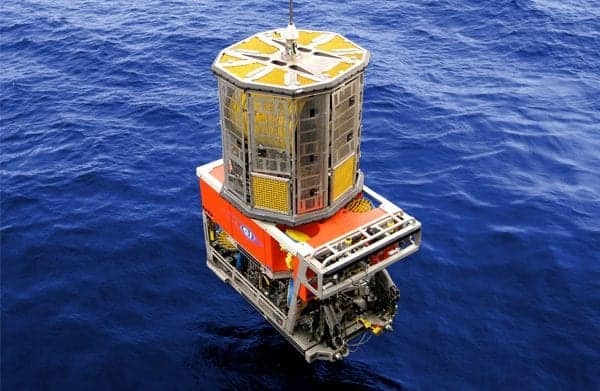 In addition to a wide range of off-the-shelf and OEM underwater equipment, we also provide a complete custom engineering service for clients’ unique subsea projects. Based on over 40 years of subsea experience, our team will handle design, prototyping, manufacture, testing and training. Please get in touch with your requirements. 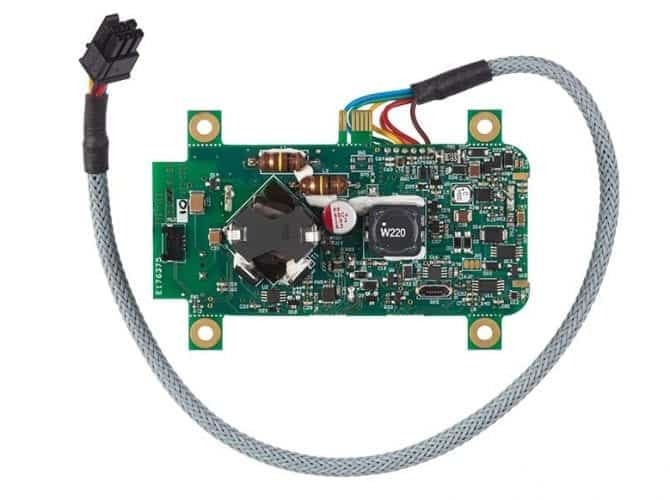 Designed for 12 and 21 inch class AUVs, the AvTrak 6 combines a USBL transponder, LBL transceiver and modem into one low-power unit that provides absolute position reference data for AUV inertial navigation systems (INS). The unit is capable of broadcasting robust telemetry for AUV to vessel and AUV to AUV communications. The instrument is available in different configurations, with integral or remote transducer options, directional transducer and high power (HP) variants, and depth ratings of up to 7000m. 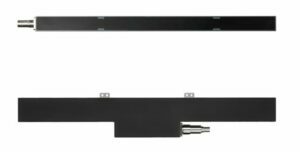 An OEM version is available without housing, for integration into existing equipment. The Nano AvTrak 6 OEM is specially designed for smaller unmanned underwater vehicles such as ROVs and AUVs. Providing many of the features supported by the larger AvTrak 6 transceiver, the system has a depth rating of up to 995m and features an integrated Li-ion rechargeable battery that provides up to 10 days emergency standby life for extended relocation and recovery opportunities. 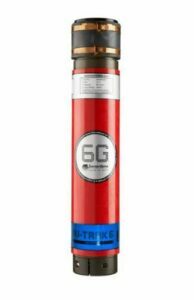 The Nano AvTrak 6 OEM is compatible with Sonardyne’s Mini-Ranger 2 6G Wideband USBL system and supports the standard 6G command language as well as Sonardyne’s Messaging Service (SMS) telemetry, thus providing an integrated navigation and data link vehicle solution in a single instrument. 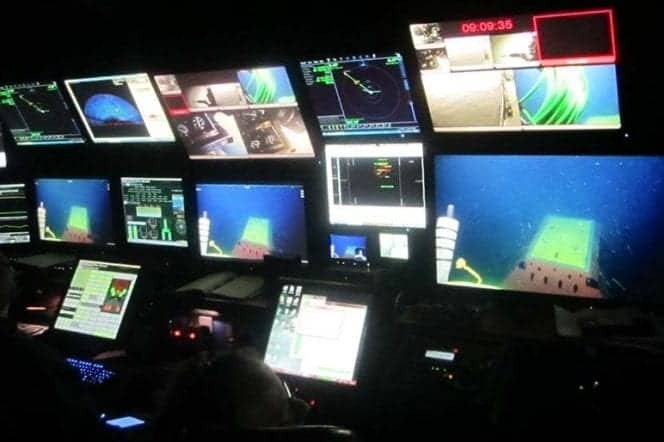 The Syrinx Doppler Velocity Log (DVL) is a 600 kHz system designed for both unmanned surface and subsurface vehicles that can be used as a standalone DVL, as part of an integrated system, or perform both functions at once. 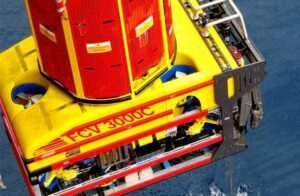 This dual capability means that only one DVL/altitude sensor is required for both ROV control and survey crews, saving on cost and payload space. Syrinx can be integrated with Sonardyne’s SPRINT INS to provide superior DVL-aided navigation, with enhanced velocity prediction and redundant positioning capability. 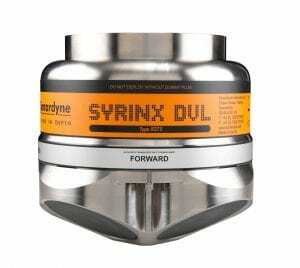 Syrinx also features a robust low-altitude mode that provides high accuracy and high output rates even when operating at altitudes of less than 1m. Syrinx is supplied with a 4000m-rated titanium housing as standard, with 3000m, 6000m, and OEM (no housing) versions also available. Ideal for ROVs and AUVs, the SPRINT is an acoustically-aided subsea Inertial Navigation System (INS) that optimally processes data from USBL, LBL positioning, Doppler Velocity Log and pressure sensors to improve position accuracy, precision, reliability and integrity. Combining an AHRS (Attitude Heading Reference System) with an AAINS (Acoustically Aided Inertial Navigation System) allows inertial navigation to start or restart instantaneously on receipt of a position update, avoiding a lengthy alignment period. The SPRINT hardware platform maintains a rolling 15 day backup of all real time navigation and raw data on an onboard SD card. 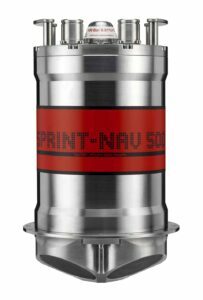 SPRINT-Nav is an all-in-one system that combines the SPRINT INS sensor and Syrinx 600 kHz Doppler Velocity Log with a high-accuracy intelligent pressure sensor to provide high-performance subsea navigation for underwater unmanned vehicles. It is available in three different performance levels as well as two different depth ratings of 4000 and 6000 metres. Designed for deep and shallow-water tracking of subsea vessels and with an operating range of greater than 7000m, the Ranger 2 is a high-performance USBL (Ultra-Short Base Line) positioning system that provides an optimal accuracy of better than 0.1%. 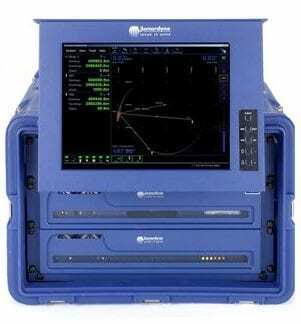 It is compatible with all DP (dynamic positioning) systems on the market. Ranger 2 can simultaneously track multiple subsea targets or transponder nodes and upload data to the surface with high-speed communications. 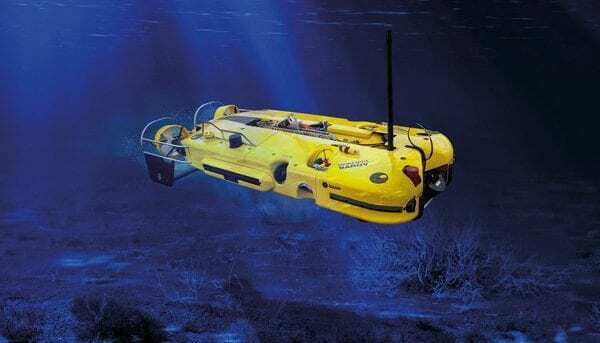 It is ideal for a wide range of ROV or AUV missions including surveying, ocean science and seismic exploration. The Ranger 2 USBL tracking system can be installed on USVs to remotely track the position of underwater targets, such as AUVs, and communicate with them. The capabilities of Ranger 2 can be extended even further with optional Survey, Dynamic Positioning and Professional add-on packs. Mini-Ranger 2 is a USBL underwater positioning system that can track up to ten underwater targets such as divers and ROVs at depths of up to 995 metres. Compact and portable, Mini-Ranger 2 is ideal for nearshore missions on smaller vessels. Mini-Ranger 2 comprises a desk or rack-mounted Ethernet Serial Hub and the high-powered HPT 3000 acoustic transceiver. Sonardyne’s 6G and Wideband 2 technologies offer precise acoustic ranging and hardware even in the most challenging of subsea environments, and the system is compatible with a variety of Sonardyne 6G mini transponders for a wide range of missions. Solstice is a Multi Aperture Sonar (MAS) system designed for high-precision AUV missions such as Search, Classify and Map (SCM), hydrographic surveys and mine detection. Capable of producing high-fidelity imagery and with an industry-leading along-track resolution of 0.15°, Solstice provides superior performance even in very shallow water, and consumes only 18 Watts of power, making it ideal for extended unmanned missions. Powerful onboard processing produces geo-coded side-scan imagery for integrated Computer Aided Detection and Classification (CAD/CAC) and Automatic Target Recognition (ATR). A vertical hydrophone array on each flank delivers high-quality bathymetry data which can be used to produce extremely detailed digital terrain maps. 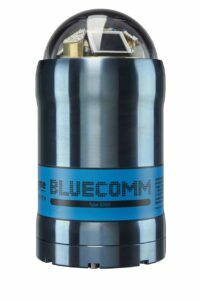 BlueComm is an underwater wireless optical communication system for high-speed transfer of video and data as well as tetherless control of unmanned underwater vehicles. In-build Ethernet connectivity allows plug-and-play integration with existing subsea networks. A highly flexible system architecture allows for integration with other Sonardyne acoustic navigation, control and monitoring devices. By submitting this form, you consent for your details to be sent to Sonardyne International and its authorized partners in order to respond to your inquiry. Depending on the location of the organization, your personal information may be transferred and processed outside of the European Economic Area.